I want to turn off the multitouch gestures on my iPad 2 running iOS 5. They make it very difficult to use around my child who is constantly switching apps on me or bringing up the notification bar. They make it very difficult to use around my child who is constantly switching apps �... Cool, even though I don't have an iPhone. I have a droid. Sometimes I wish I could turn the autocorrect feature off of the swype function, but I guess that whole function more or less depends upon an autocorrect-like functioning. Cool, even though I don't have an iPhone. I have a droid. Sometimes I wish I could turn the autocorrect feature off of the swype function, but I guess that whole function more or less depends upon an autocorrect-like functioning. Those of us who choose to turn off lock screen gestures shouldn't have to deal with the lock screen at all, unless we actually lock the phone. I agree that the single swipe is nice and easy, and that's how I had it set for a week or so, but I am finding that I get better battery life with it turned off, so I prefer to just use the power button. 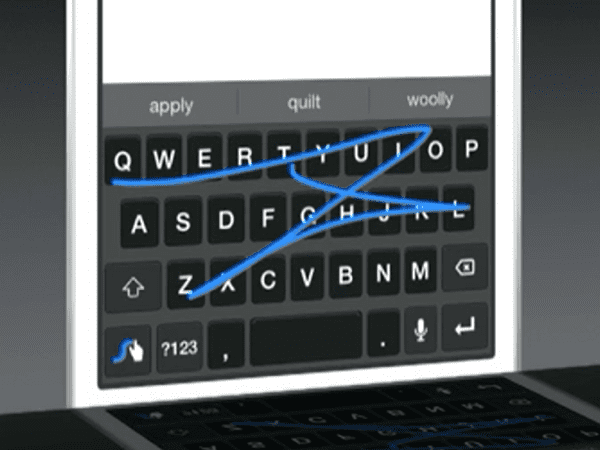 On your Samsung Galaxy S5 you can activate the Swype keyboard, with which you only need to wipe over the keys without taking the finger from the screen. With some practice you can write text on the Samsung Galaxy S5 very fast with Swype.